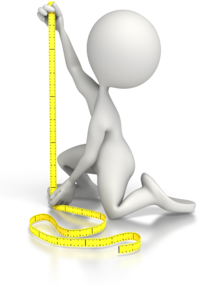 When you enter your training and competition feedback you have the option to enter elevation above sea level, your altitude gain/loss and temperature. VICSYSTEM will then calculate the equivalent distance you would have run at sea level on a flat route with an ideal temperature. This conversion is known as the "virtual" distance. 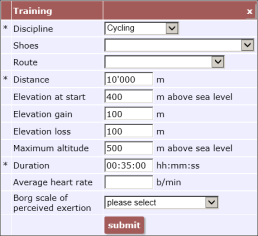 If you enter in your feedback a 10,000m cycling unit which took 35 minutes starting at 400m above sea level as well as having gained 100m and lost 100m VICSYSTEM calculates a virtualized distance, in this case it's 4'444m. This virtualized distance is the distance you would have covered had you run 35 minutes at the same effort at sea level on a flat route. VICSYSTEM uses virtualized distances to accurately assess your fitness to automatically calculate your personalized training plan.